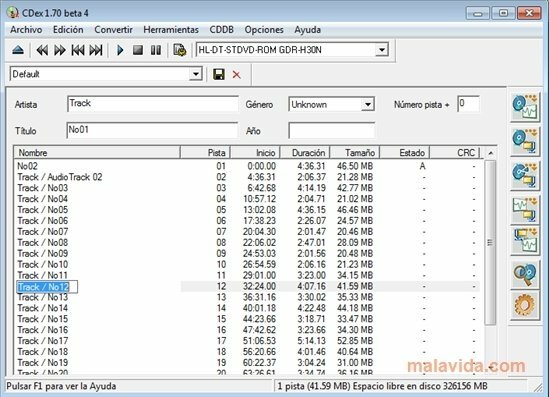 If you want to extract the audio from a CD and encode it in the format of your choice or that's compatible with your portable music player, CDex is a program that you should take into account to manage to get the best results. 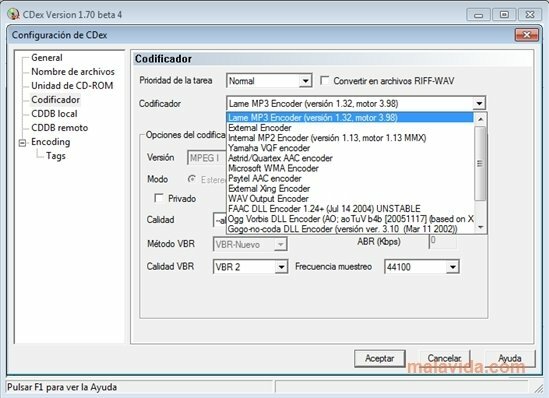 Extracting audio from any disc always has to be done with the best possible software to try to lose as little quality as possible. Logically this only happens with programs like CDex, due to the fact that its developers have taken care of implementing the most popular sound codecs in the best possible way. Even though CDex includes some codecs, it will also load all the codecs installed on the system, so if we have any codecs pack installed, it's more than likely that the programs options will increase. But even if we don't, we'll always have MP3, MP2, AAC, WMA, AAC, OGG and WAV available. Before converting the discs, it's possible to connect to various Internet databases to obtain the tags and the data of the disc, that will later be stored in the resulting files. Thus, we'll be able to access it from any player and organize our music library better.